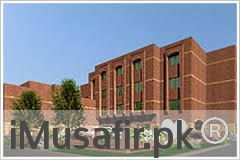 Book Hotel One Faisalabad on cheap rates | iMusafir.pk. “Hotel One” is an accommodation solution, which is convenient, clean, comfortable and remarkably cost-effective. Having a legacy of top-notch hospitality standards, “Hotel One” embarks on the mission to provide optimum alternative accommodation that is truly affordable. Luxury and comfort is blended harmoniously in its suites and rooms where everything is designed to facilitate the life of a business as well as pleasure traveler.